There is a special kind of magic that comes with outdoor, winter photo sessions. The snow lightly falling and icicles hanging from the branches create a lovely backdrop for any photo session. If this is the season when you usually take family photos, you are probably wondering how to be original and to not have the same pose and background as you did last year. There are ways to add character and mood to your images and with the help of a right photographer, you can have unique photos you’ll cherish for mush longer than just this season. 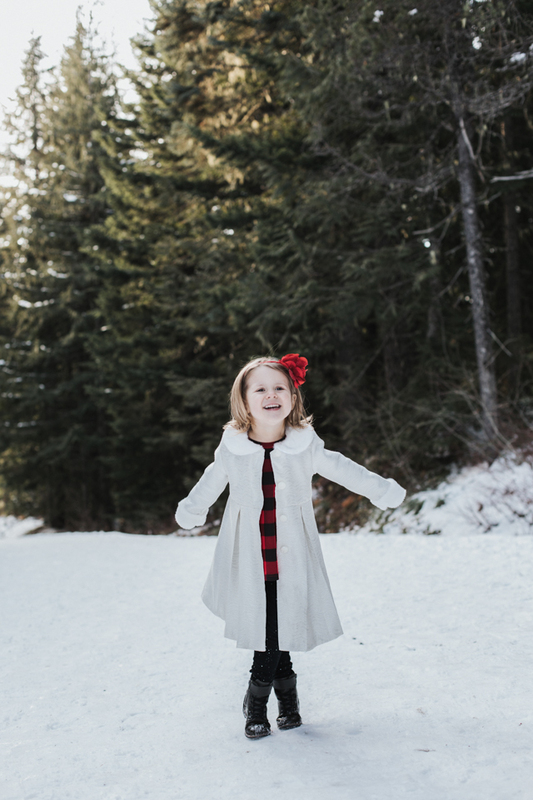 Here are some tips to make your winter or fall photo sessions go smoothly. Dress warmly. You will be surprised at how often this is overlooked. Since you’ll be standing outside for a long period of time, short sleeves, thin fabrics, and open toe shoes will not be comfortable for very long. Shivering makes it hard to look happy and pose properly. However, be prepared to take your coat off and at least act like you are not freezing for few photos. Wear sunscreen. Protecting your skin should be a priority throughout the year, not just in summer. Use a good moisturizer to protect your skin from chilly winds. Also, make sure your nails are not chipped and your roots are dyed. Little details in self care can make a big difference for your photos. Be flexible. If the weather isn’t exactly what you had hoped for, see if you can still make the photo session work. If you are however scheduling this session in advance, you may just have to work with the weather on that particular day. Bring an umbrella or prepare covered/alternative location in case of heavy rain or snow. Incorporate color. Even though fall and winter have some amazing colors to work with, why not wear a splash of color to really stand out in your photos? For example, vibrant shades of blues and greens look amazing amongst crunchy brown leaves. However, avoid too many patterns and clashing colors. You want to draw attention to your faces not to your clothes. Bring props. Beautiful red or white blanket is a great way to warm up and look cozy in your photos. Fun mugs and hot cocoa to drink at Christmas trees farm? Yes, Please! Take some hot tea or coffee along to make your photo session even more enjoyable and get ready for some beautiful results. Trust your photographer, and most importantly talk to them about your ideas and concerns.